With the heat wave in its fifth day, the National Weather Service has issued an excessive heat warning and an air-quality alert for the region. Heat index values could hit 107 degrees today and 102 degrees Saturday before the excessive heat warning ends at 8 p.m. Saturday. The weather service also notes air-pollution concentrations in the region have led to a code orange alert, meaning conditions may be unhealthy for sensitive groups including children, people with asthma, heart disease or lung disease and the elderly. 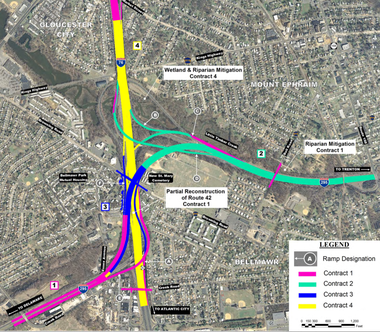 The ramp connecting I-76 east to I-295 south will be closed from 11 p.m. Friday through 5 a.m. Monday in conjunction with the Direct Connection project in Bellmawr and Mt. Ephraim. Motorists can get on I-295 north at exit 1B, head to exit 28 for Route 168 (Black Horse Pike) headed north, to then take the I-295 ramp south. As a secondary detour, motorists can stay on I-76 east to Route 42 and get off at exit 14 for Creek Road, then get back on Route 42 north to then get on 295 north and follow the directions above. Authorities from Camden and Bellmawr are reporting that two suspects have been arrested in connection with a bank robbery that happened in Bellmawr on Tuesday. Nicholas A. Depietropolo, 21, of Gloucester City, and Michael J. Arrison, 22, of Brooklawn were both arrested on Thursday for allegedly robbing the Fulton Bank on the 300 block of Browning Road Tuesday afternoon. 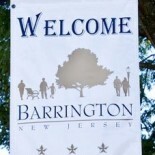 This entry was posted on July 19, 2013 by Barrington Bulletin in Crime, Region, Safety and tagged bank robbery, construction, heat wave.